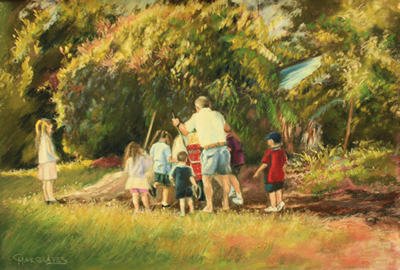 Altering the light source gave this painting more impact and directed the eye of the viewer to the area of the action. One figure also needed to be altered. The original photo that was altered to suit.